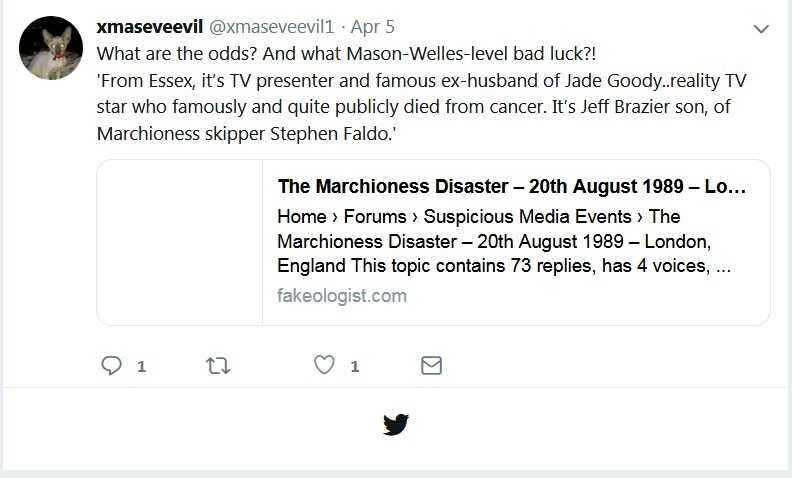 The strange and busy Twitter member xmaseveevil1 made not just one but a number of posts on the Marchioness staged disaster, having gone through the entire Marchioness thread and noted the absurdities of the official narrative. The earlier xmaseveevil twitter feed was ascribed to a ?Scot? styled “James Johnston” who may or may not be the same youtuber Jimmy Johnston who comments on HRDPAR threads.